UPDATED: Tue., May 8, 2018, 4:32 p.m.
Uber Technologies announced a partnership to study urban manned aircraft in conjunction with the U.S. space agency NASA, following a partnership last year that focused on unmanned drones. As part of the deal, Uber will share its data with the National Aeronautics and Space Administration to move the world closer to developing air traffic management systems for a world with flying cars. 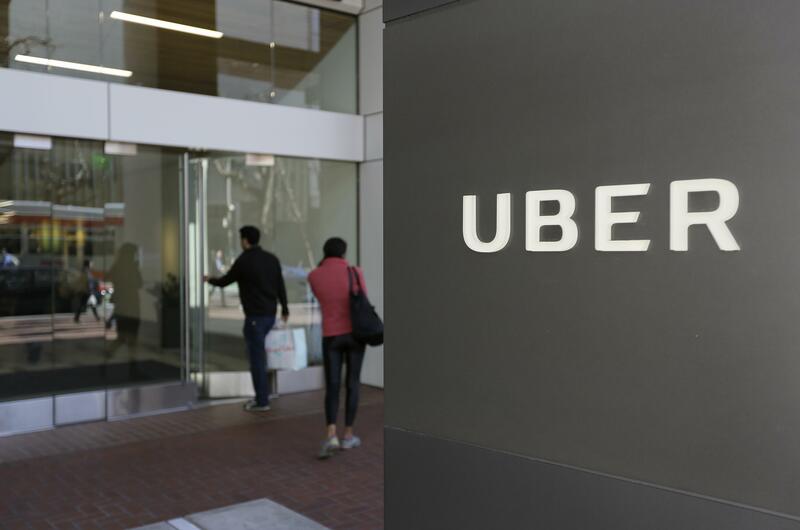 Uber made the announcement as it kicked off its second Uber Elevate conference in Los Angeles. While Uber isn’t building these vertical takeoff and landing vehicles itself, the company is striking partnerships with manufacturers, battery companies and others that, together with Uber’s ride-hailing network, could make it possible to summon a flying taxi via the Uber app. “Urban air mobility could revolutionize the way people and cargo move in our cities and fundamentally change our lifestyle much like smart phones have,” Jaiwon Shin, associate administrator for NASA’s Aeronautics Research Mission Directorate, said in a statement. Uber has set a goal of testing these electric flying vehicles by 2020 and a commercial launch in 2023. The company has produced its own designs, talked to local governments and is trying to lay the foundation for a future in which people travel across cities in the sky. Top U.S. regulators are scheduled to speak at the conference – either in person or via video – including U.S. Secretary of Transportation Elaine Chao and acting Federal Aviation Administration head Dan Elwell. Los Angeles Mayor Eric Garcetti spoke Tuesday morning via a recorded video. Uber Chief Executive Officer Dara Khosrowshahi is scheduled to speak Wednesday. Flying cars have attracted the attention of other technology companies. Alphabet Inc. CEO Larry Page has made investments in companies working on flying cars, like startups Kitty Hawk and Zee.Aero. Flying cars give Uber an opportunity to plan optimistically for the future, while its other foray into futuristic vehicles faces significant challenges. Its autonomous car program has stalled, following a fatal collision with a pedestrian in March. Published: May 8, 2018, 2:12 p.m. Updated: May 8, 2018, 4:32 p.m.